Clean. The design is smooth, slim, and keeps hardware at a minimal visibility. It does so by raising your monitor and getting rid of that clunky display stand. 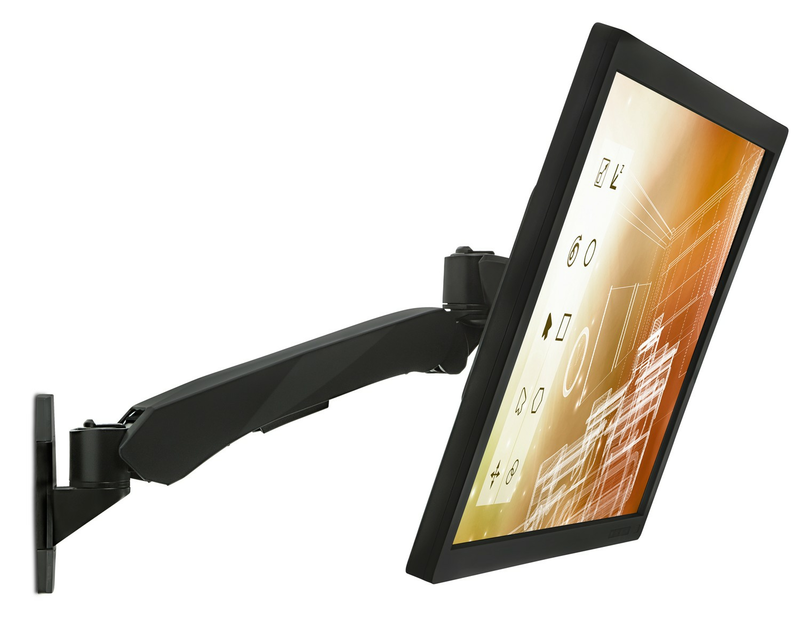 The articulating arm has built in cable management clips to bundle and hide your cords from sight. Sturdy Engineering. The quick release functions make moving your screen a smooth and effortless process. The die casted aluminum alloy is high quality and up to date with modern metallurgy technology. It is light weight, but supports up to 19.8 lbs. The mount stand is detailed with a contemporary Black color to help this model seamlessly integrate into any home or business.